Long story short, when the game came out i felt frustrated how the movelists looked, not only low res, but with lots of small errors, render wise and alignment of elements. Based on Art by Mane6 and incorporates Images from their released MediaKit. 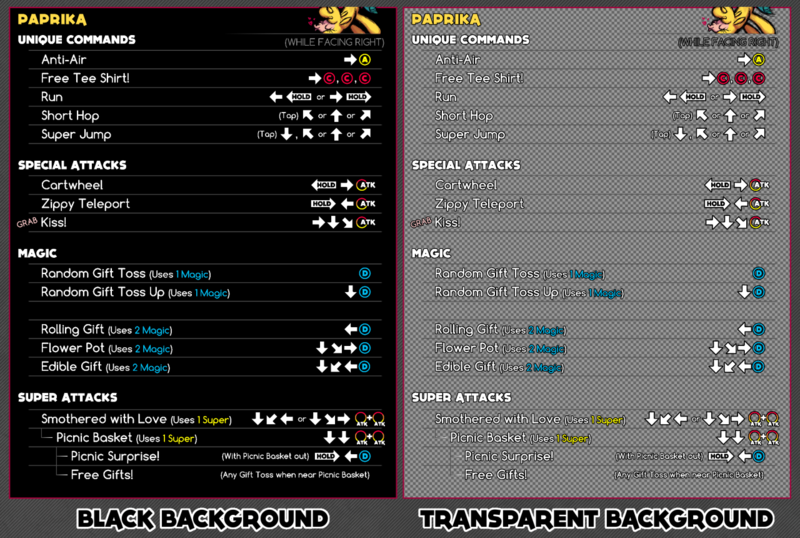 Two different versions will be available, one with black background and one with transparent background with black outline around text and inputs. If there is a specific version you wish i should add, just send me a message. Update: Fixed numerous alignment issues (arrows, texts). The difference isn’t as noticeable on most pages.